Just in time for summer! 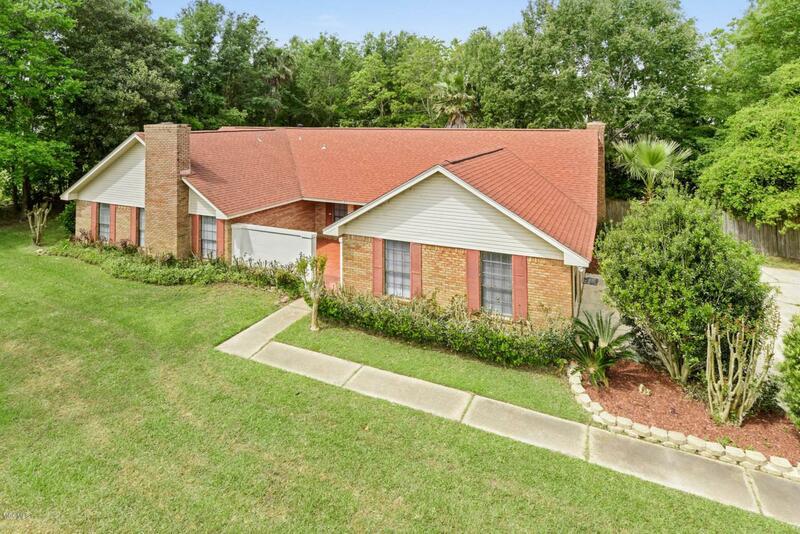 4 bedroom, 2.5 bath home has a pool and plenty of room for entertaining! Brick home features a LARGE kitchen that overlooks the living room with high ceilings and a wood burning fireplace. HUGE master suite includes high ceilings, a fireplace and a walk in closet. LARGE bonus room that can be used as a rec room or media room. Conveniently located within 10 min to Gulfport factory outlets and Crossroads shopping center with great access to dining and shopping! Call today for a private showing. This home won't last long! Listing courtesy of Jessica L King of Cameron Bell Properties, Inc..